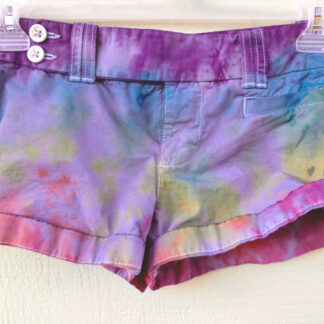 View cart “G16 4US purple red orange striped tie-dye shorts Aus8 / Eur36 small” has been added to your cart. 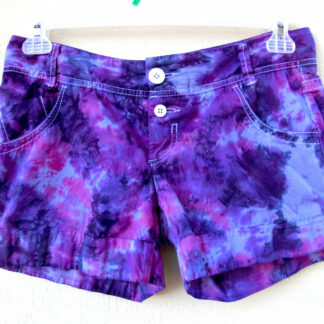 These super trendy hand-dyed size 4US tie-dye shorts are made of soft, pre-shrunk & pre-washed cotton and colors are guaranteed not to bleed! 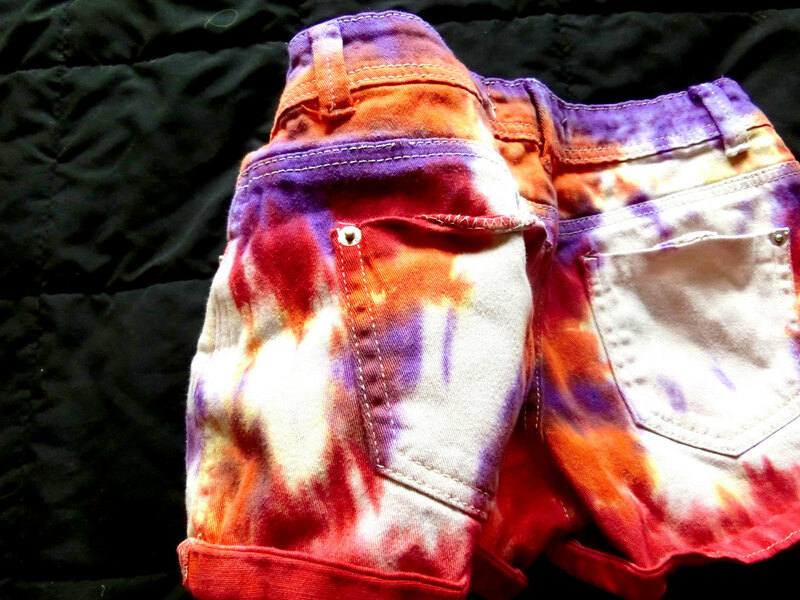 These shorts are super comfortable, perfect for lounging around the house or adding a psychedelic flare to your next going-out ensemble, fighting evil by moonlight, drum circles, winning love by daylight, parties, or whatever tickles your pickle! This design is guaranteed 100% unique and hand-made in the US of A. 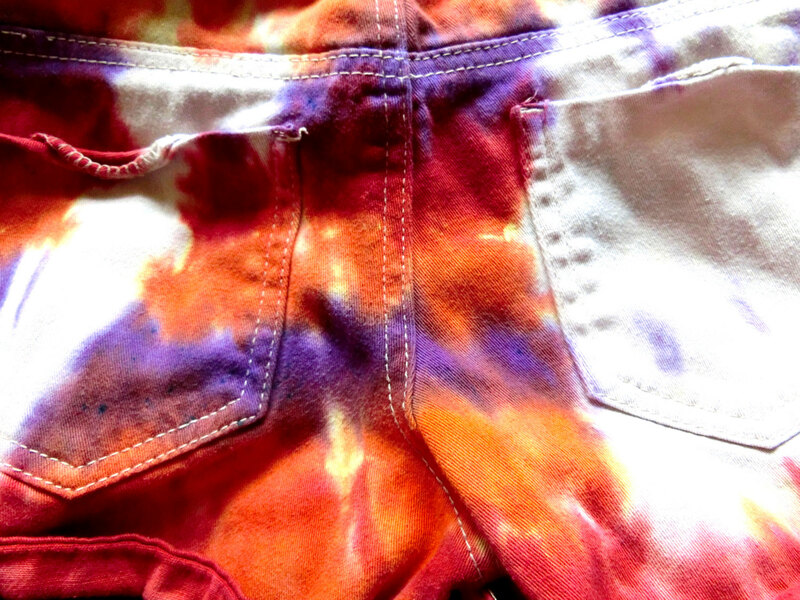 This a is completely one-of-a-kind design so once it sells it’s gone! 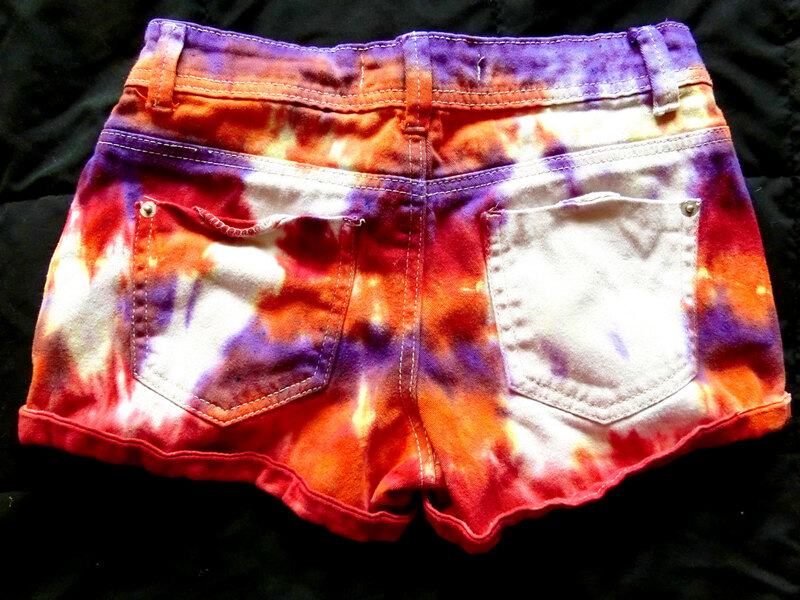 If the size won’t work for you but you like the design, feel free to contact us and we can try to recreate it for you! 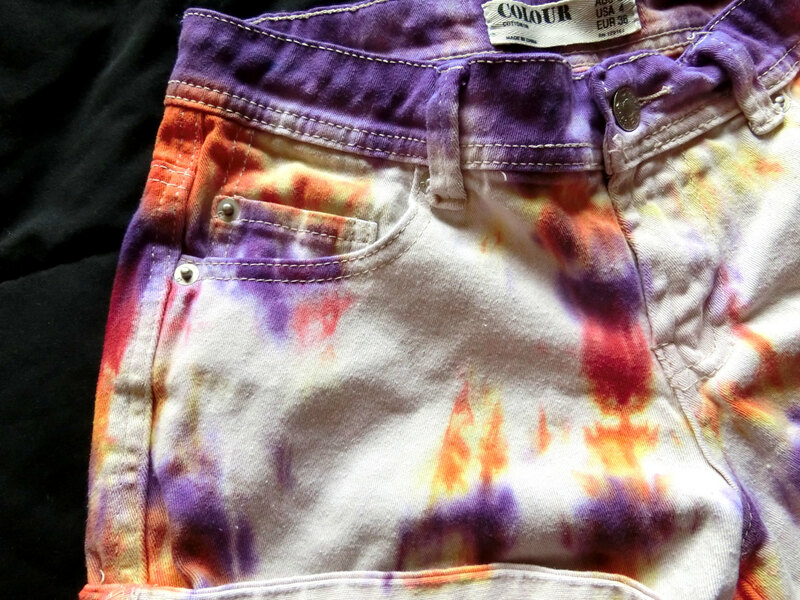 Bear in mind that given the nature of tie-dye it won’t be an exact duplicate. 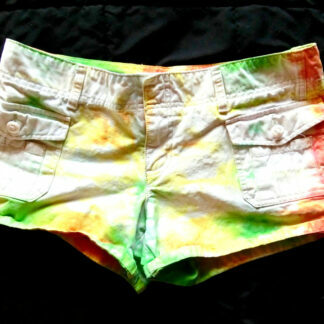 Pre-washed and pre-shrunk, ready to wear! 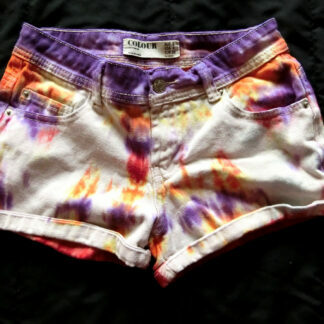 100% preshrunk Colour brand cotton shorts. 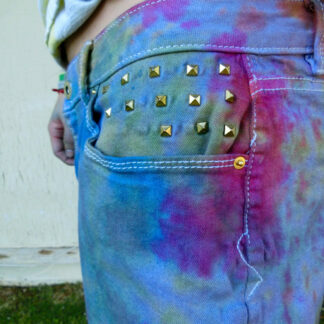 Please machine wash inside out with like colors in cold water to keep the colors vivid. All proceeds go towards supporting our small business and helping us do more of what we love! Thanks for looking and feel free to contact us with any questions! 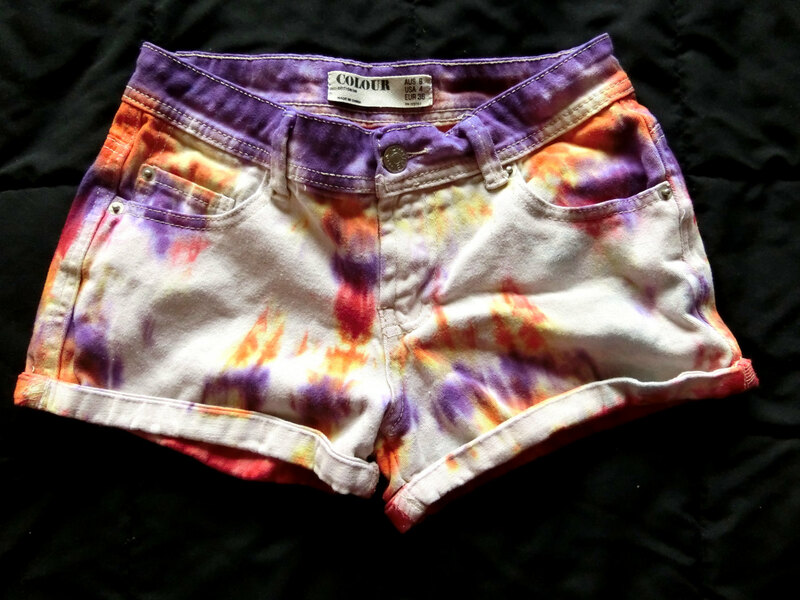 All items are dyed in the USA, made with love. No hippies were harmed in the making of this product.